Many people get on the ketogenic diet or low carb bandwagon believing that it will help them to lose weight and possibly gain energy. But if you are suffering from chronic fatigue or adrenal fatigue, it can make matters worse. For many people, a low carb or keto diet is a great option that helps with slimming down. In many cases, such as having diabetes or blood sugar dysregulation, getting less than fifty percent of calories from carbohydrates is ideal. The keto diet has worked wonders for many. However, as with everything, deciding how to eat always depends on which health issue or problem you are trying to address. If you are chronically fatigued and just feel plain tired all the time, it is very likely that you have adrenal fatigue, which is a condition in where the delicate balance of the hormones produced by the adrenal glands is thrown off. Unfortunately, eating too few carbohydrates, as is the case on the keto diet, could exacerbate adrenal fatigue and cause more problems. How do you know if you have adrenal fatigue? According to Dr. Alan Christianson, author of the book, The Adrenal Reset Diet, experiencing the same symptoms during the same time every day is a very good sign that the adrenal glands are at fault for your symptoms. For example, if you feel tired in the afternoon with an inability to proceed with the rest of the day or if you feel tired and frazzled after dinner or you wake up at 2am with your mind racing with different thoughts, all of these are good examples that may have adrenal fatigue. What is cortisol and what does it have to do with chronic fatigue? The adrenal glands, small walnut-shaped organs located on top of the kidneys, are responsible for producing hormones like cortisol. Cortisol is a stress hormone that helps to keep us alert when the body is presented with a danger. For example, if someone was running after you to attack you, cortisol is produced to keep your alertness very high so that you can run for your life. Unfortunately, our bodies respond to daily psychological stress in the same way as a physical threat. If cortisol is produced in a natural way, it is beneficial to the body and can help us to maintain a healthy weight and optimal energy levels. Cortisol should be at its highest in the morning in order to help us be bright-eyed and bushy-tailed in the morning and at its lowest in the evening in order to help us wind down to sleep before bedtime. However, if we do not sleep well, we eat a processed diet, or we are exposed to environmental toxins, cortisol production becomes dysregulated and can cause issues like fatigue and weight loss resistance. How does cortisol affect blood glucose balance? Cortisol is a hormone that is also responsible for maintaining optimal blood glucose levels. For example, if you go many hours without eating, cortisol pulls your blood glucose levels back up to normal by using glycogen (carbohydrate stores in the liver). If you do not eat enough carbohydrates, however, cortisol breaks down muscle to get the glucose needed to balance blood sugar levels. If cortisol levels are thrown off it is common for people to feel faint or dizzy if they do not eat for more than two to three hours. Cortisol also decreases the insulin response to blood sugar. If cortisol is consistently high in the blood from too much stress, insulin does not take the sugar from the blood to the cells to be used as energy, and instead gets stored as fat. Why is a very low carb/ketogenic diet bad if you have adrenal fatigue? Believe it or not, carbohydrates play a very important role in maintaining the right balance of cortisol in the body. If you are consistently stressed out, not eating the right amount of carbohydrates at the right times can make the problem worse. For example, a lot of people do not know that eating carbohydrates can help to lower cortisol levels. When do we need cortisol to be low? In the evening before we sleep. Therefore, one of the biggest symptoms of not eating enough carbohydrates is an inability to sleep well during the night. If you do not sleep well, you feel even more tired throughout the day, further feeding the vicious cycle of adrenal fatigue. Does this mean you should NEVER do low carb or the ketogenic diet? No, not necessarily. As I mentioned before, low carb and keto can be very helpful for people, but if you are suffering from severe adrenal fatigue it’s important to recover first before embarking on a very low carb diet like keto. Use the resources below to help you heal your adrenal fatigue. Avoid processed foods – Refined white flour and sugar not only cause a slew of chronic diseases, but they also interfere with normal sleep patterns that can exacerbate an adrenal fatigue problem. Simply switching to a diet of whole, real foods can vastly improve symptoms of adrenal fatigue such as a slow metabolism and fatigue. Eat a protein-rich breakfast – Just like carbohydrates can decrease cortisol production, protein increases it. Therefore, when we want cortisol to be at its highest in the morning, eating more protein during breakfast can help this. Add more carbohydrate-rich veggies in the evening – Although the idea of eating a huge plate of pasta for dinner may be appealing to many, this is not what we’re talking about. Refined flours and grains will not help adrenal fatigue. Having more carbohydrates in the evening refers to choosing nutrient-dense vegetables that are higher in carbohydrate content and occasional fruits. Including foods like sweet potatoes, butternut squash, plantains, zucchini, carrots, beets, berries or pumpkin in the evening can help decrease cortisol levels and promote sleep. Avoiding carbohydrates altogether is not always the best way to feel better. With the chronically stressed-out lifestyle we live today, eating in a way that promotes sleep and enhances the cortisol-production cycle (i.e. eating more carbohydrates later in the day) can help to alleviate the symptoms of adrenal fatigue. If you need to address weight loss, it can be nearly impossible to do until you recover from adrenal fatigue and other underlying hormonal issues first. Once these are sorted, weight loss will be much easier and a low carb or ketogenic diet won’t cause damage. Do you want to heal your Adrenal Fatigue for good? Are you tired of the guesswork involved in treating your adrenal fatigue? Are you frustrated that your doctor doesn’t understand your condition? Are you ready to stop feeling tired all the time and take control of your health? The Adrenal Fatigue Solution contains everything you need to start treating your Adrenal Fatigue. Click here to get The Adrenal Fatigue Solution Now! Tina Christoudias is a Harvard-trained registered dietitian with nearly 18 years of experience as a nutrition counselor. 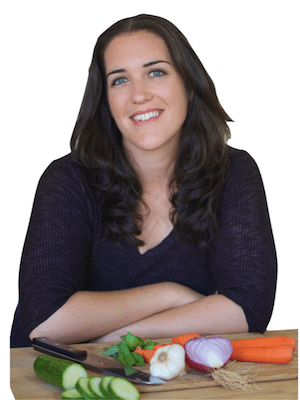 Having had personal experience with hypothyroidism, she specializes in diet protocols for Hashimoto’s thyroiditis and hypothyroidism and has recently published her book, Tired of Feeling Tired? 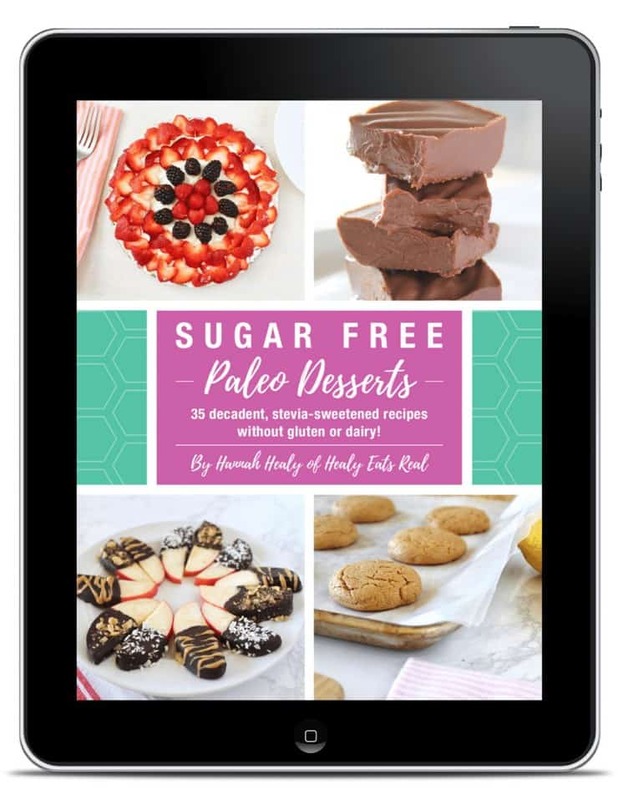 She is a strong advocate of the Paleo diet and is an Autoimmune Protocol Certified Coach. This is so interesting! I have considered the Keto diet, but now I’m rethinking it. Thanks for sharing! Very helpful post! With low carb diets becoming popular again, this time to help with regulation of blood sugar and stomach acid, not just for weight loss, it’s very timely to remind us that they are not suitable for all and that for some they could be actively dangerous. Thanks for the detailed information. You really gave some great information, many things to think about if the diet is right for me. The nutrition tips for supporting the adrenals and fighting chronic fatigue are very helpful as I have a friend that deals with Chronic Fatigue. An interesting read, this. My bones feel like lead when I stop exercising and put on weight, but as soon as I start moving again and eating better I feel healthy and human again. I’m not really keen on all these fad diets, tbh. Healthy eating and exercise are always the way forward. Yes, whole foods is always a great way to go. Do what works best for your body! I’m so glad I found this article. My husband recently asked for me to start cooking more keto foods so I’m trying to do as much research as I can about keto right now. Pinned for future reference, thanks! For me is the opposite. Keto diet is the only thing that help me with chronic fatigue. Whole food balanced diet did not help at all. I am 44 years old and suffered with debilitating fatigue and mental fog for two years, especially when work became to much. Basically when I worked. I went on a strict keto diet and my life has been changed. When I say changed, I mean that I have my life back. I wake up everyday and can’t believe this is my life now. I do have a high pressure job, and all the symptoms have been reversed. My symptoms were crippling fatigue, no matter how long I slept, major brain fog, horrible sinus issues, blocked ears. I felt like a zombie. This spiralled into a depression because I didn’t think anything could be done, especially after getting every test possible from a number of doctors. The keto diet reversed it all… after about two months there wasn’t one symptom left. I question your article and implore you to do more research. To push people away from a possible cure is irresponsible. For anyone reading this, please consider doing more research, a keto diet might give you your life back. I feel like I have won the lottery. That’s awesome you have your life back! I really enjoyed this article and it actually pointed me in the right direction. I used to have adrenal fatigue 20 years ago but was healed. I’ve gained considerable amount of weight and decided to try the Clean Keto no dairy diet. The first month I felt absolutely wonderful. Then I started to have horrible heart palpitations, 24/7 dry mouth, sugar cravings out of nowhere, fluid retention and awful fatigue. I gave that a month. Noting my daily blood sugar readings over 100. I’ve had no sugar for months. Then I read this article and it was like a miracle! Keto pushed me back into adrenal fatigue. I’m so thankful for the author writing this. Wow Amy, I’m so glad that this article was helpful to you! Thanks for sharing. I hope you are feeling better!